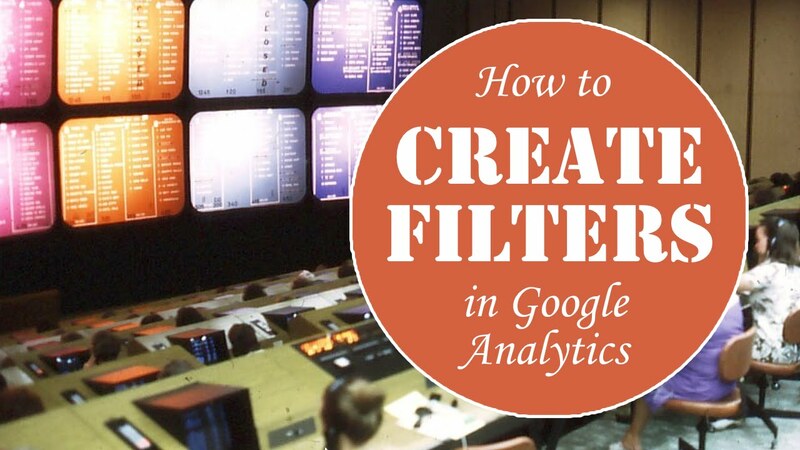 Many webmasters forget how powerful the filters in Google Analytics is. 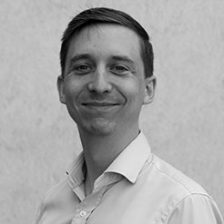 In this post I’m going to show you three filters you need to have in order to get relevant traffic and data to your account. This filter makes your (not provided) queries in Acquisition > Search Engine Optimisation > Queries to say a lot more then just Not provided. When this filter is enabled you can easily see which page the user visited when searching on Google. Here is how you can set it up. In Google Analytics click on Admin. From here you click on View > Filters. Filter name: Not provided filter. Filter type: Custom and Advanced. 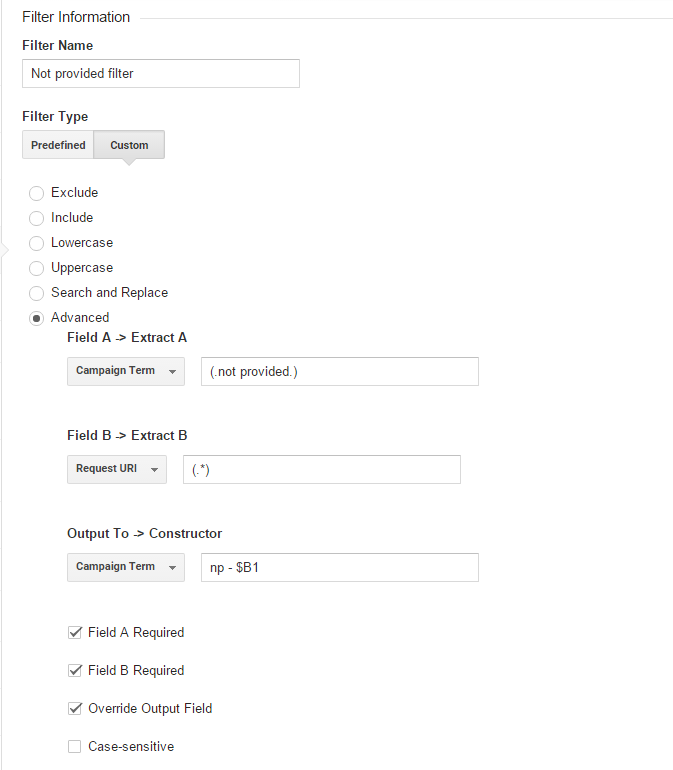 In the section Field A ->Extract A choose Campaign Term and write (.not provided.) in the field. Field B -> Extract B choose Request URI and write (. *) in the field. Output to -> Constructor choose Campaign Term and write np – $B1 in the field. Field A Required – Check. Field B Required – Check. Override Output Field – Check. In order to filter out fake traffic such as buttons-for-website.com and anticrawler.org you can use this filter to exclude them from your data. This is really easy done. Haters gonna hate. Create a new filter and choose Valid hostname filter as Filter name. 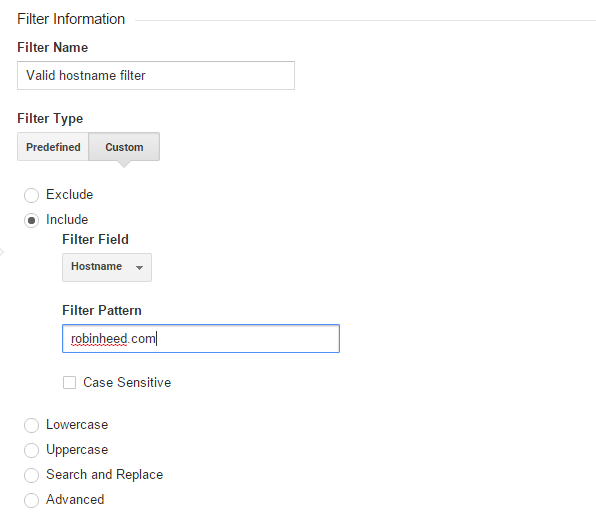 As Filter Pattern you write your domain e.g robinheed.com. Another filter you need to have in order to show correct data is to exclude the internal traffic from your office. This is just unnecessary sessions. 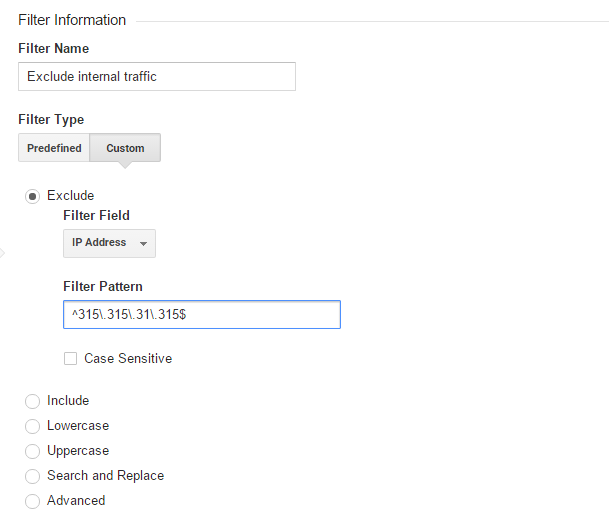 Create a new filter named Exclude internal traffic and choose Custom and Exclude. As Filter Field you go for IP Address. In Filter Patterns paste your internal IP address (dynamic or static).